I would like to thank each and everyone of you that participated in the QAL. I was so inspired by all the different combinations of fabrics used for the block. You can view Nested Churn Dash projects on social media by using #nestedchurndash or on the Flickr group. Congratulations to the following people who have won a sample pack of Aurifil threads just for using the Nested Churn Dash pattern and posted it on FB, Twitter, IG or Flickr using #nestedchurndash. I have contacted you via IG or Flickr mail and will post your Aurifil packs when I receive your details. 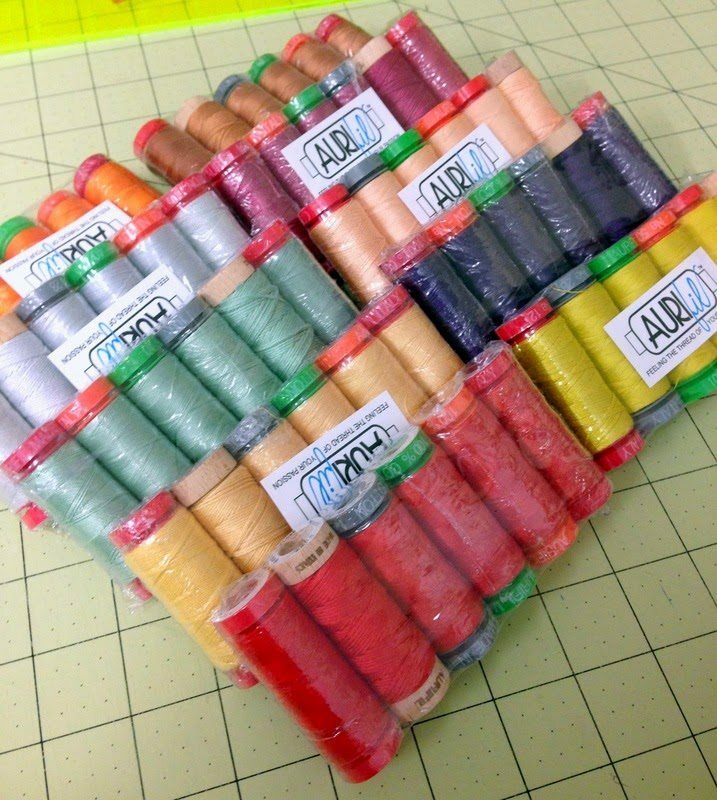 Each pack contains a small spool of 12wt, 50wt, 40wt, 28wt cotton Mako, Floss and wool in one beautiful Aurifil colour. Thank you so much! I am just thrilled. I loved using your well written pattern and love how it turned out. I am looking forward to receiving theses great threads. Thanks to you and aurifil. Thank you for picking me! 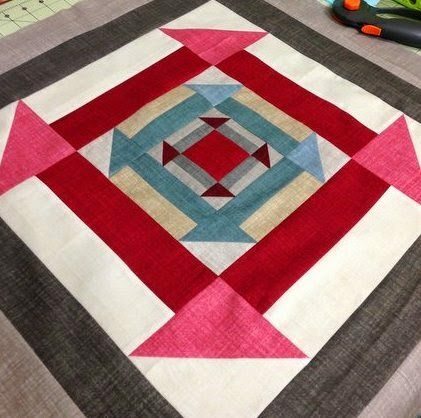 It's such a great pattern and it was alot of fun to make this quilt.